IT Asset Disposition & Certified Data Destruction: L.A. & O.C. 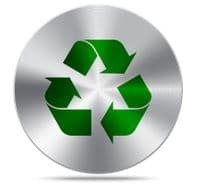 Recycling your IT equipment is better for the environment, AND your budget! Spectra offers IT Equipment liquidation and IT Asset Disposal in Orange County, CA and in Los Angeles County, CA. Spectra has been a trusted name in the IT re-marketing industry for over 30 years. We provide certificates of destruction for all storage arrays and server hard drives. Spectra understands that every business is different. That is why we come up with custom-tailored solutions for each customer. If your business is upgrading, relocating, downsizing, or going out of business, we have the experience and solutions to help solve your problem. In most cases, we are able to offer a meaningful financial return for your old equipment, instead of paying a recycler to haul it away. Why destroy your IT assets, when you can sell them? Hard drive shredders will charge you to come out and destroy your data. It’s how they make a living. Spectra will pay you for your decommissioned storage array or server. Shredding hard drives is the same as shredding cash. Spectra utilizes DoD-compliant sanitization software, that guarantees all personal & proprietary data is wiped clean from the hard drives and media before recycling. Don’t pay to haul your valuable IT equipment away. Give us a call, and learn how to recover some money from your IT assets.